When we purchase any jewelry or any other item regarding fashion. We do compromise with either price or quality. But now this tradition is going to be break. Since with this beautiful and elegant watch, you don’t need to do compromise with price or its quality. You are getting a wonderful jewelry at a very reasonable and affordable price. Isn’t this amazing! This Citizen Women’s Watch has Eco-Drive which get recharged by any light source and you never need to change its battery. The ecodrive of this watch has good power reserve and has the caliber of E111. The finely finished body of this Citizen Eco Womens is made up of Stainless Steel. The bracelet of this watch is having push button deployment buckle which is very suitable for ladies. The watch is having Mother of Pearl Dial and is graced with 24 pieces of Swarovski Crystals. This Citizen Eco Ladies must have addition to any ladies jewelry collection. This beautiful dial is protected with Curve Crystal Glass. The crystal gives the dial a better protection and improves the celerity. Luminous Hand and Hour marker make possible to read the time in dark. The numerals are very good to note the time. The current date can be noted at the display present at 3 o’clock position. This Citizen Eco Drive Watch is safe from water and has daily Water Resistant. 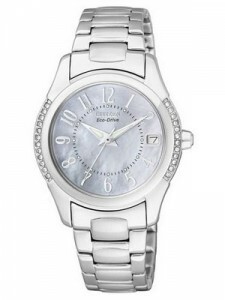 It is an ideal watch for women and they can impress others by this fabulous machine. 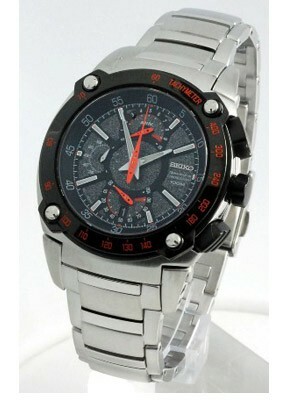 This watch is available for US $105.00 with us.